Disney Infinity Star Wars Starter Pack on sale for $49.99! You are here: Home / online shopping / Disney Infinity Star Wars Starter Pack on sale for $49.99! 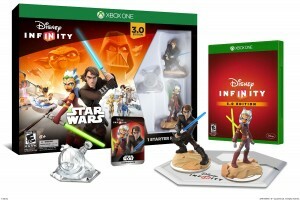 If you’ve got a Star Wars fan, get tho Disney Infinity Star Wars Starter Pack for just $49.99. 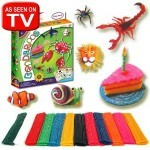 The regular retail price is $64.99. 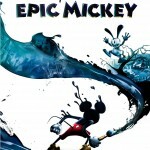 It’s available at this price for the Playstation 4, Xbox One, Nintendo Wii U, Playstation 3, and Xbox 360 platforms. I’m still trying to decide between the Star Wars Infinity and the LEGO Dimensions for my son for Christmas. LEGO Dimensions was just released yesterday and looks real awesome, too! 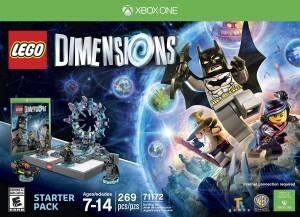 Grow your LEGO Dimensions adventure with Fun Packs , Level Packs and Team Packs. 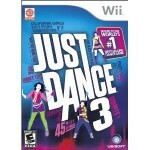 Amazon: Buy 2 Video Games, Get 1 Free! 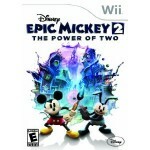 HUGE Disney Video Games sale: Wii, PS3, XBox 360 and more! 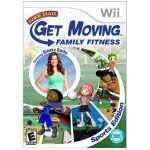 Jumpstart Get Moving Family Fitness for Wii only $8.99! 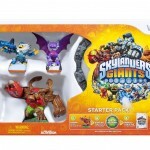 Skylanders Giants Starter Pack as low as $37.99 SHIPPED!